"I knew she was at peace and with those she best loved: in the embrace of the Lord Jesus, then next, perhaps her Robin, and then finally, finally, resting enfolded in the arms of her mother." That brought tears to my eyes. To know that you have made your mother so proud of you in what you did in your life and to finally see her again after so many years. I really hope that was true for Elizabeth. This is the final book in Sandra Byrd's Ladies in Waiting series. I have the other two books (graciously sent to me by Ms. Byrd) and I can't wait to read them, even if I'm reading out of order. 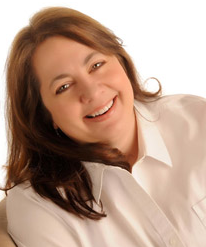 Ms. Byrd has a talent for telling a great story and creating characters we care about while preserving the historical details that surround the story. I can't wait to see what she has in store for us next. 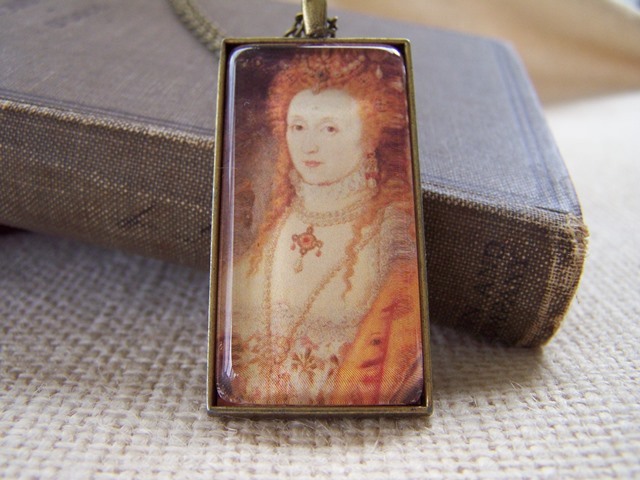 One copy of Roses Have Thorns and an Elizabeth I necklace (pictured below) to a winner in the U.S. only. Please leave a comment and be sure to leave a way to contact me if you win (email address, Twitter handle, etc). Last day to enter is Friday, June 7 at 11:59pm CST. Good luck! SO.VERY.EXCITED. about this book. Can't wait to read it. Thanks for the giveaway! I REALLy wanna read this book!! 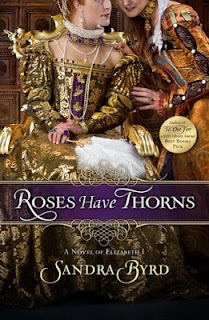 I love historical fiction, and I've been wanting to read this book ever since I saw it :) thanks for a great giveaway! I love that necklace too...so pretty! I've been wanting to read this for awhile! Thank you for this giveaway!